If your email isn’t full of a ton of messages about white sales, then you obviously don’t sign up for the same stores I do. This time of year is the time to seriously consider upgrading your bedding. A lot of companies offer their “white sale” in an effort to clear out inventory before the new spring arrivals come in. I’ve done a lot of the work for you and I wanted to share my five favorite white sale deals. 1. If you are local to the NY-metro area, do yourself a favor and check out Fig Linens in Westport, CT. They have an incredible selection of beautiful linens. From basics to prints to lush blankets and more. And bonus (!) they are currently having their white sale! 2. Two of my favorite brands have joined forces and the result is incredible. West Elm is working with Kate Spade (I know, right?! ), and they are now featuring some incredible pieces. Here is one of my favorites from their white sale, going on now. 3. If you aren’t a fan of the classic white hotel look for your bedroom at home, take a peek at this pleasing shade of gray. 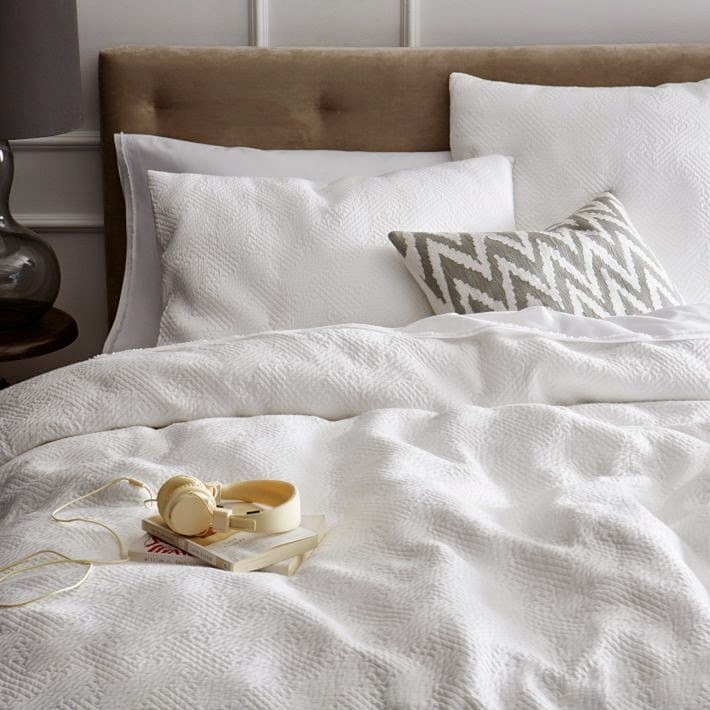 This jersey knit duvet and sham collection from Pottery Barn is a comfortable and casual winner that can be punched up with accent pillows to fit different seasons or different moods. 4. For a classic hotel look with a twist, go for the Ralph Lauren Palmer Brights collection. Where you can add color to your whites with a bold border in orange, yellow, green, or even pink! I love mixing the shams from this collection in with a neutral pallet for an unexpected and super-fun look. 5. For a classic clean look, go for a matelasse. The texture you get is so gorgeous, while still looking polished, in a white or any other color. 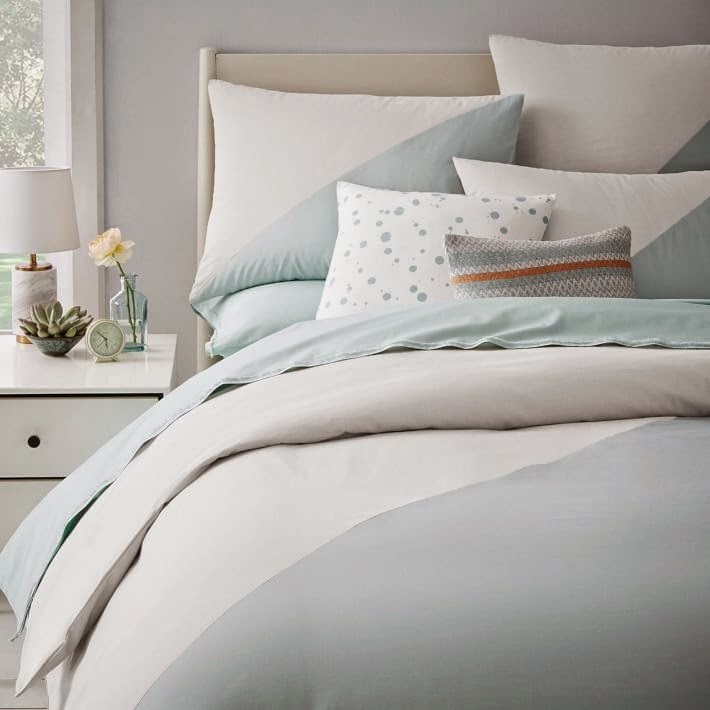 I chose this one from West Elm, made with an organic cotton percale, it comes in white and gray and would be fabulous in almost any space. Don’t you just love a good white sale? !